The results of a microwear analysis of samples of fan scrapers and fan scrapers spalls from late Pottery Neolithic (PN) and Early Bronze Age (EBA) occupation layers at Ein Zippori, Lower Galilee, Israel are presented. The goal of the microwear analysis was to determine the function of the fan scrapers and compare the visible usewear on the scrapers found in late PN and EBA lithic assemblages. The results indicate that during both periods most of the fan scrapers were used to skin and butcher animals, while some were also used for hide processing and bone working. The working edges of the fan scrapers had sharp, moderate, or steep edge-angles, and different edges were used for different tasks. Edges with microwear from scraping meat, bone, and hides (including some hides that may have been treated with abrasives) had steep edge-angles, while there were moderate or sharp edge-angles on the edges of fan scrapers used for cutting. Two sub-types of fan scrapers were identified, flat cortex fan scrapers (FCFS), and cortical fan scrapers (CFS) with convex dorsal faces. The CFS were abundant in PN contexts, while the FCFS were more common in EBA layers. However both of the sub-types had similar microwear traces. 4034 Smith Lab., 174 W. 18th Ave.
Bankirer, R. Y., & Marder, O. 2003, The flints from Tel Gat-Hefer. ‘Atiqot, 44:139-142. Barkai, R., & Gopher, A. 2012, Flint assemblages from Nahal Zehora II: Techno-typological changes during the PN. In: Village Communities of the Pottery Neolithic Period in the Menashe Hills, Israel: Archaeological Investigations at the sites of Nahal Zehora (Gopher, A. Ed. ), Emery and Claire Yass Publications in Archaeology Vol. 29, Institute of Archaeology, Tel Aviv University, Tel Aviv: p. 757-869. Bar-Yosef, O., Belfer, A., Goren, A., & Smith, P. 1977, The nawamis near ’Ein Huderah (Eastern Sinai). Israel Exploration Journal, 27: 65-88. Bennett, W.J. Jr., Sollberger, J.B., & Gettys, A.F. 1989, Flint Tools. In: Tell el-Hesi: the Persian Period (Stratum V) (Bennett, W.J., Blakely, J.A., O’Connell, K.G., Horton, F.L., & Coogan, M.D., Eds. ), Excavation Reports: Joint Archaeological Expedition to Tell el-Hesi Vol. 3. Eisenbrauns, Winona Lake, IN: p. 231-326. Crowfoot-Payne, J. 1983, The flint industries of Jericho. In: Excavations at Jericho Vol. V (Kenyon, K.A., & T. A. Holland, T.A., Eds. ), British School of Archaeology in Jerusalem, London: p. 622-759. Davis, S.J. M. 1987, The Archaeology of Animals. Yale University Press, New Haven, 224 p.
Davis, S.J.M. 2012, Animal Remains at the Nahal Zehora Sites. In: Village Communities of the Pottery Neolithic Period in the Menashe Hills, Israel: Archaeological Investigations at the Sites of Nahal Zehora (Gopher, A., Ed. ), Emery and Claire Yass Publications in Archaeology Vol. 29, Institute of Archaeology, Tel Aviv University, Tel Aviv: p. 1258-1320. Fujii, S. 1999, Qa` Abu Tulayha West: An Interim Report of the 1998 Season. Annual of the Department of Antiquities of Jordan, 43: 69-89.
van Gijn A.L. 1990, The Wear and Tear of Flint: Principles of Microwear Analysis Applied to Dutch Neolithic Assemblages. Analecta Praehistorica Leidensia Vol. 22, University of Leiden, Leiden, 182 p.
Gopher, A. 1989, The flint assemblages of Munhata (Israel), final report. Paris: Les Cahiers du Centre de Recherche Francais de Jerusalem Vol. 4, Association Paleorient, Paris, 162 p.
Gopher, A. 2012, The Pottery Neolithic in the Southern Levant - A Second Neolithic Revolution. In: Village Communities of the Pottery Neolithic Period in the Menashe Hills, Israel: Archaeological Investigations at the sites of Nahal Zehora (Gopher, A. Ed. ), Emery and Claire Yass Publications in Archaeology Vol. 29, Institute of Archaeology, Tel Aviv University, Tel Aviv: p. 1525-1611. Grigson, C. 2000, The Secondary Products Revolution? Changes in Animal Management from the Fourth to the Fifth Millennium at Arjoune, Syria. In: Archaeolozoology of the Near East IV (Mashkour, M., Choyke, A.M., Buitenhuis, H., & Poplin, F., Eds. ), Oxbow Books, Oxford: p. 12-28. 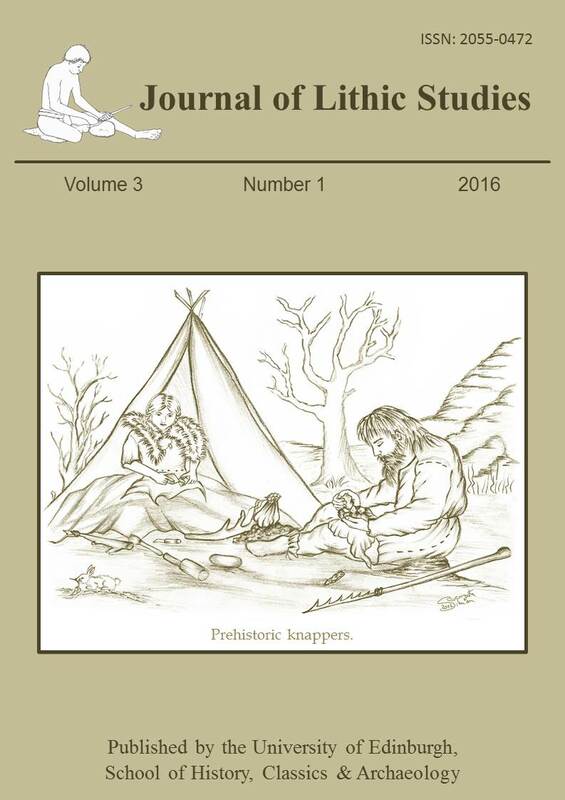 Halstead, P., & Isaakidou, V. 2011, Revolutionary Secondary Products: the Development and Significance of Milking, Animal-Traction and Wool-Gathering in Later Prehistoric Europe and the Near East. In: Interweaving Worlds: Systemic Interactions in Eurasia 7th 1st Millennia B.C. (Wilkinson, T.C., Sherratt, S. & Bennet, J., Eds. ), Oxbow Books, Oxford: p. 61-76. Henry, D. O. 1995, Prehistoric Cultural Ecology and Evolution: Insights from Southern Jordan. Plenum Press, New York, 466 p.
Khalaily, H. 2011, Nahal Yarmut: A Late Pottery Neolithic Site of the Wadi Rabah culture, south of Nahal Soreq. Atiqot, 67: 1-29. Khalaily, H., & Nagorsky, A. 2013, Tel Hanan: A Site of the Wadi Rabah Culture East of Haifa. Atiqot, 73:1-17. Mallon, A., Koeppel, R., & Neuville, R. 1934, Teleilat Ghassul I, 1929-32. Pontifical Biblical Institute, Rome, 193 p.
Marder, O., Braun, E., & Milevski, I. 1995, The Flint Assemblage of Lower Ḥorvat’ Illin : Some Technical and Economic Considerations. ‘Atiqot, 27: 63-93. McConaughy, M.A. 1979, Formal and Functional Analyses of the Chipped Stone Tools from Bâb edh- Dhrâ, Jordan. Ph.D. dissertation at the Department of Anthropology, University of Pittsburgh, Pittsburgh, 431 p.
Müller-Neuhof, B. 2006, Tabular scraper quarry sites in the Wadi Ar-Ruwayshid region (N/E Jordan). Annual of the Department of Antiquities of Jordan, 50: 373-383. Noy, T. 1998, The flint artifacts. In: The Chalcolithic culture of the Golan (Epstein, C., Ed. ), Israel Antiquity Authority (IAA) Reports Vol. 4, Jerusalem: p. 269-332. Rosen, S.A. 1997, Lithics after the Stone Age. Walnut Creek, CA: Altamira Press, 184 p.
Rowan, Y., & Levy, T.E. 1991, Use Wear Analysis of Chalcolithic Scraper Assemblage from Shiqmin. Mitekufat Haeven: Journal of the Israel Prehistoric Society, 1991: 112-134. Sherratt, A.G. 1997a, Plough and Pastorialism: Aspects of the Secondary Products Revolution. In: Economy and Society in Prehistoric Europe: Changing Perspectives (Sherratt, A., Ed. ), Princeton University Press, Princeton: p. 158-198. Sherratt, A.G. 1997b, The Secondary Exploitation of Animals in the Old World. In: Economy and Society in Prehistoric Europe: Changing Perspectives (Sherratt, A., Ed. ), Princeton University Press, Princeton: p.199-228. Stepieǹ, U. 2012, Tabular Scrapers from the Eastern Kom at Tell el-Farkha. Studies in Ancient Art and Civilization, 16: 75-84. Unger-Hamilton, R. 1991, The Microwear Analysis of Scrapers and “Sickle Blades.” In: Excavations at Jawa 1972-1986: Stratigraphy, Pottery, and Other Finds (Betts, A.V.G., Ed. ), Excavations and Explorations in the Hashemite Kingdom of Jordan Vol. 1, Edinburgh University Press, Edinburgh: p. 149-153, 351. Vila, E., & Helmer, D. 2014, The Expansion of Sheep Herding and the Development of Wool Production in the Ancient Near East: An Archaeozoological and Iconographical Approach. In: Wool Economy in the Ancient Near East and the Aegean: From the Beginnings of Sheep Husbandry to Institutional Textile Industry (Breniquet, C., & Michel, C. Eds. ), Oxbow Books, Oxford: p. 22-40. Wilkinson, T. C., Sherratt, S., & Bennet, J., (Eds. ), 2011, Interweaving Worlds: Systemic Interactions in Eurasia 7th-1st Millennia B.C., Oxbow Books, Oxford, 308 p.
Yamada, S. 2012, Use-wear analysis of tools from Nahal Zehora I. In: Village Communities of the Pottery Neolithic Period in the Menashe Hills, Israel: Archaeological Investigations at the sites of Nahal Zehora (Gopher, A., Ed. ), Emery and Claire Yass Publications in Archaeology Vol. 29, Institute of Archaeology, Tel Aviv University, Tel Aviv: p. 978-1010. Yerkes, R.W., & Barkai, R. 2012, Microwear analysis of bifacial tools at Nahal Zehora. In: Village Communities of the Pottery Neolithic Period in the Menashe Hills, Israel: Archaeological Investigations at the sites of Nahal Zehora (Gopher, A., Ed. ), Emery and Claire Yass Publications in Archaeology 29, Institute of Archaeology, Tel Aviv University, Tel Aviv: p. 930-977.